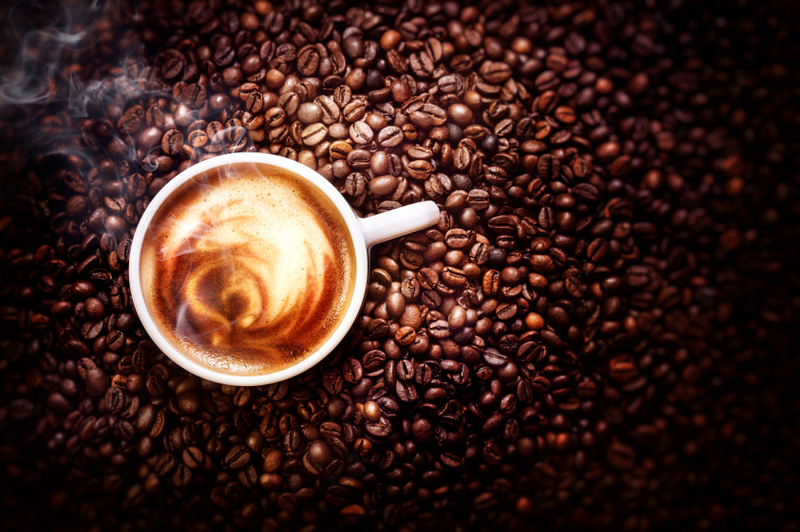 Have you ever been captivated by the rich alluring aroma of coffee beans? It is interesting to note how the nondescript green berries eventually turn into beautiful brown coffee beans and when roasted, give out a characteristic aroma. Or, for that matter you may have observed baked bread getting its golden brown crust and noticed the unmistakably heavenly aroma of a freshly baked bread. Food items can often be distinguished by their characteristics of colour and aroma. Before you even set foot in your own kitchen at home, many a times you can tell what’s cooking as you sense the aroma of food wafting through the air. The smell, taste and colour of the food are explained by a set of complex chemical reactions. 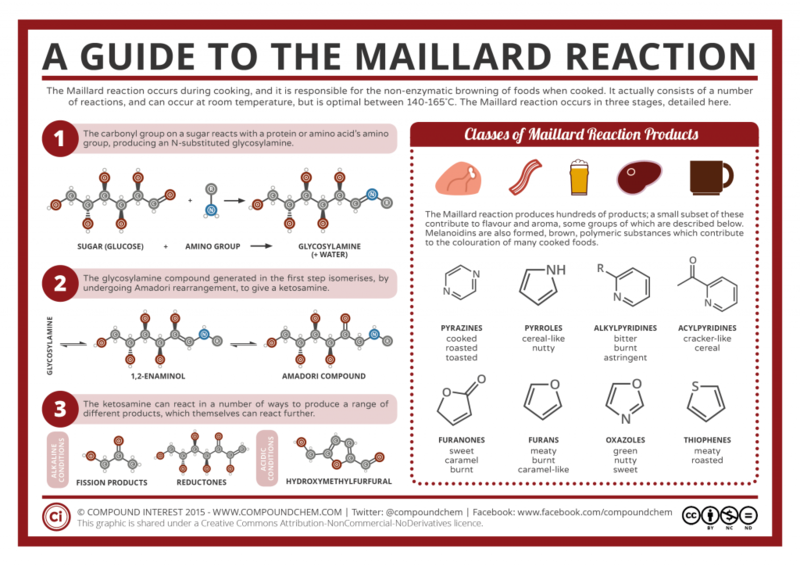 They are known as Maillard reactions. The reaction is named after a French Physician and bio-chemist, Louis-Camille Maillard. He was the one who described the reactions first in 1912, in an attempt to reproduce biological protein synthesis. Hundreds of chemical compounds are formed during this reaction, which gives the colour and aroma to foods such as coffee, chocolates, seared steaks, cookies, biscuits and toasted marshmallows. Maillard reaction is typically a form of non-enzymatic browning. Contrary to the oxidative browning, non-enzymatic browning is a process that results in the brown colour of foods. For enzymatic browning to occur, exposure of the food items to oxygen is required. And non-enzymatic browning is carried out in the presence of excessive heat. Caramelization and the Maillard reaction are the two important forms of non-enzymatic browning. Maillard reaction is a chemical reaction between amino acids or proteins and simple reducing sugars, requiring the addition of heat. When sugar interacts with amino acids, a variety of odors and flavours are produced. One of the potential end products of this reaction hydroxymethylfurfural gives the desired flavour to the food. The resulting flavour and the desirable taste are determined by the type of amino acid present in the food. At a high temperature of approximately above 130 degree Celsius and low moisture, melanoidins are formed as the end products when sugars and amino acids react. Melanoidins are long, heterogeneous polymeric compounds which are brown in colour with high molecular weight. Food items such as bread crusts, bakery products, coffee, and confectionary contain melanoidins. 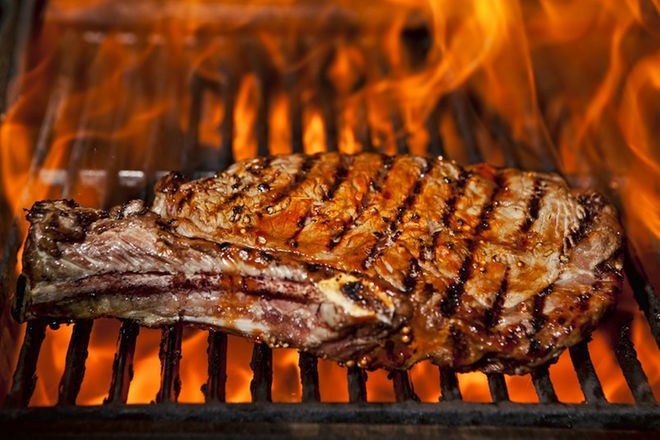 When meat is grilled or roasted, browning is caused on the outer surface because it is hot enough for the Maillard reactions to occur. The pinkish colour is retained by the inner side as the temperature is not optimum for the reaction to take place rapidly. The browning effect is not seen in foods which are cooked by boiling or steaming because the temperature reaches only about 100 degree Celsius. The complexity of flavours is also not acquired during boiling or steaming because of the low temperature. Some detrimental consequences are also known for this reaction. When chips are fried, slight blemishes may appear if their reducing sugar content exceeds 0.03 per cent. For potatoes which are destined for commercial chip production, monitoring is done for the reduced sugar content to be below this level. The Maillard reaction also results in an undesirable product called acrylamide, under high temperatures. This chemical is detected in tiny amounts in a variety of food products like fried/roasted foods, coffee, cocoa, chocolate and cereal-based bakery products. The discovery of acrylamide has prompted concern about the carcinogenicity of these foods. But, according to the Food Safety and Standard of Authority, no direct evidence has been found that it causes cancer in humans. The formation of flavour compounds in the Maillard reaction is quite complex. It is still not known how the reaction pathways can be directed in the desired way. But, what we do know now is what gives that particular aroma of certain foods.